Occupational Health and Safety Assessment Series (OHSAS) is an internationally applied standard for occupational health and safety management systems. It exists to assist organizations establish occupational health and safety procedures and minimize risks through the appropriation of proactive instead of responsive controls. “These credentials confirm the Durban ICC’s dedication to international best-practice management. Having met the requirements of the Standard, our clients and stakeholders can be assured that we are providing a safe and healthy environment for all our delegates and guests”, added Rakharebe. 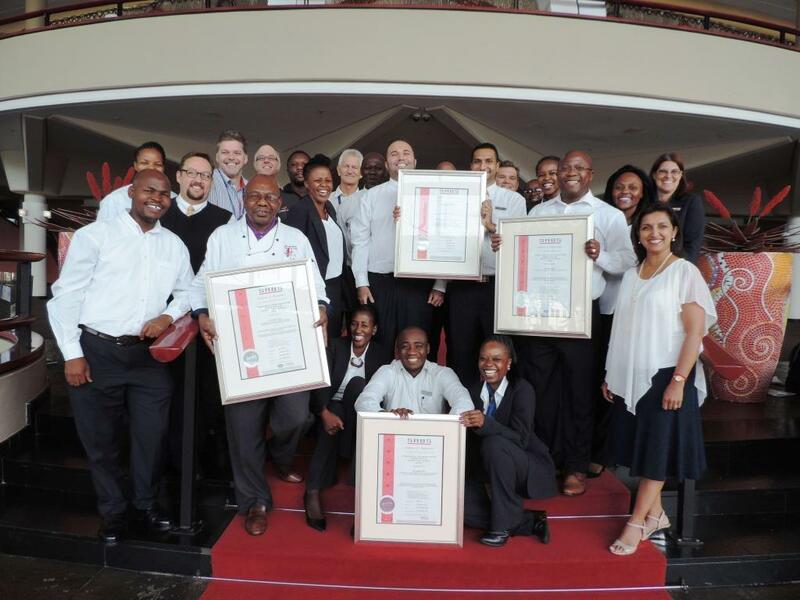 Members of the Durban ICC’s ISO Team proudly displaying their four international certifications.